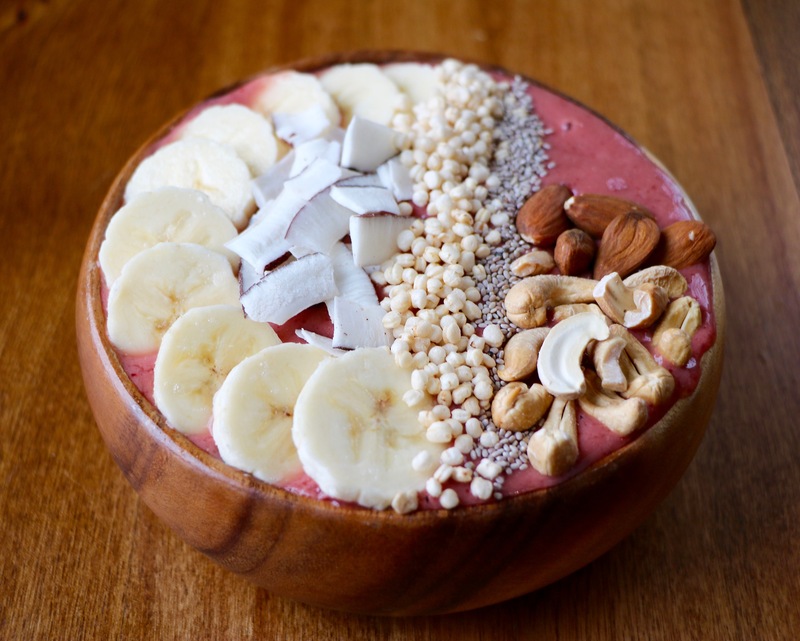 This crazy delicious smoothie bowl, will make you feel as though you are on a beach somewhere beautiful! It is full of flavour and is natural sweetened, by the raspberries and mangos. 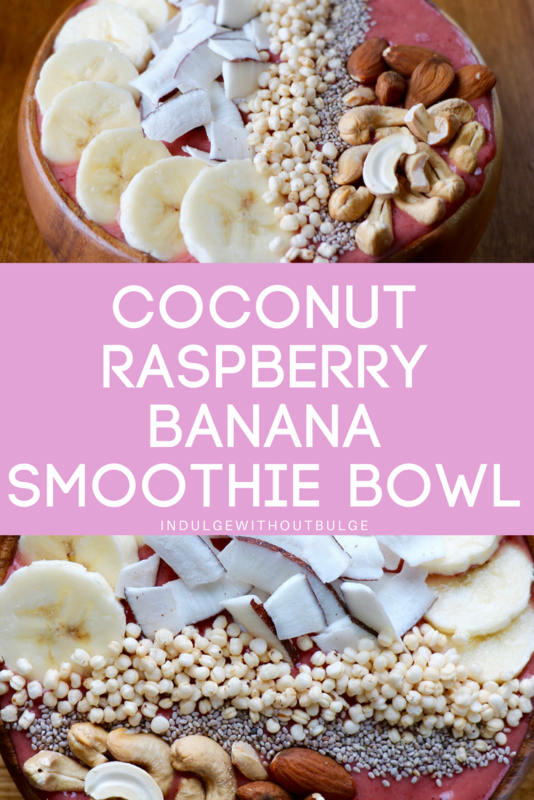 This smoothie is gluten-free, refined sugar-free and great for energizing your body in the most natural way possible, with healthy fats, proteins and natural sugars. Add all ingredients together to a high speed blender. Blend on high until smooth, thick and thoroughly blended. Add enough almond milk or water to blend, but not too much to make it runny. Pour into a bowl and decorate with your desired toppings.